Andy was born in Hamilton and graduated from Glasgow School of Art in Jewellery and Silver-Smithing. During his teaching career Andy continued to make jewellery on commission for several years. Then, in 1985 Andy decided to concentrate on painting. 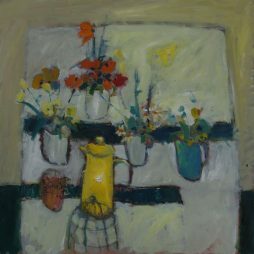 Since his early retirement in 2002 Andy has had more time to devote to painting his favourite subjects of Landscape and Still Life. 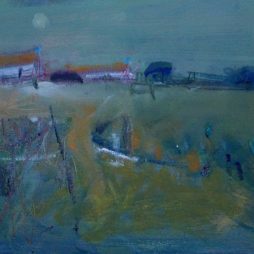 Most of his inspiration comes from the surrounding countryside of his home in Lanarkshire and from his frequent visits to France. 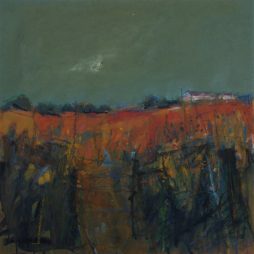 In his Landscape paintings Andy is more interested in creating an atmosphere rather than a photographic image. 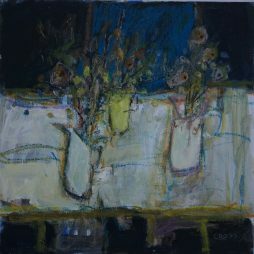 This can be either the damp dreich Scottish weather to the sunlit paintings of Provence. However, his most recent work has been Still Life with the simplification of shapes and space. Andy feels this has been influenced by his love for Japanese art and design where everything is stripped to its basic essentials. This has led Andy to flattening some of the elements to the picture plane rather than conveying three dimensional objects. It is also important to Andy that he keeps the application of the paint as fresh looking as possible with the brush marks and scrapings still evident in the finished work.